With the public eye fixed on the governor's new Missing Persons Task Force, Detective Evie Blackwell and her new partner, David, are under pressure to produce results. While they investigate two missing persons cases in Chicago, Evie and David's conviction that justice is truly possible for all will be tested to the limit. Dee Henderson Pens Another Compelling Cold Case Mystery Evie Blackwell's reputation as a top investigator for the Illinois State Police has landed her an appointment to the governor's new Missing Persons Task Force. This elite investigative team is launched with plenty of public fanfare. The governor has made this initiative a high priority, so they will have to produce results--and quickly. 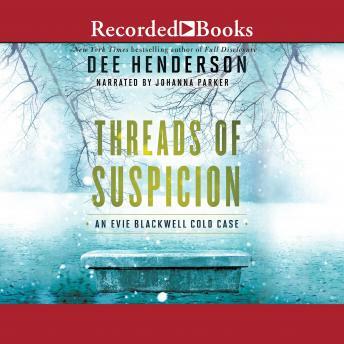 Evie and her new partner, David Marshal, are assigned to a pair of unrelated cases in suburban Chicago, and while both involve persons now missing for several years, the cases couldn't be more different. While Evie opens old wounds in a close-knit neighborhood to find a missing college student, David searches for a private investigator working for a high-powered client. With a deep conviction that "justice for all" truly matters, Evie and David are unrelenting in their search for the truth. But Evie must also find answers to the questions that lie just beneath the surface in her personal life.